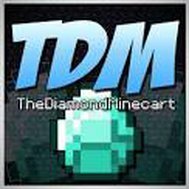 1: What is the first episode of the diamond dimensions modded survival called? 2: What is the name of Dan's skeleton dog? 3: What is the name of Dan's pesky villager friend? 4: What was the great accident in the diamond dimensions? 5: What episode number was The craziest episode ever? 6: Did Dan do a mod showcase on the Tea and coffee mod? 7: What Famguide does Dan usually use? 8: What kind of enderman stalks Dan? 9: Who killed Herobrine in the Herobrine mod showcase?